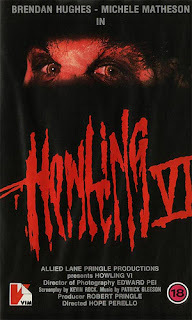 For the sake of continuity, it is notable that Howling VI is the first entry in the series since The Original Nightmare to not feature Clive Turner in any capacity. The movie was the first movie directed by Hope Perello (who is apparently the director of the Space Arts Center in Pasadena now... who knew? ), although she had done some second-unit directing and miscellaneous crew work previously, including working on... uh... the original Troll. Okay, not a particularly impressive CV, but the same can be said about almost everyone who worked on a Howling sequel. The script was written by Kevin Rock who... oh God, really? Kevin Rock would go on to write the script for the legendary Roger Corman Fantastic Four movie, which was so bad, Fox never intended to release it (they just wanted to hang onto the film rights). This just keeps getting worse. Howling VI has an interesting and fresh premise, portraying its protagonist as a sympathetic werewolf. 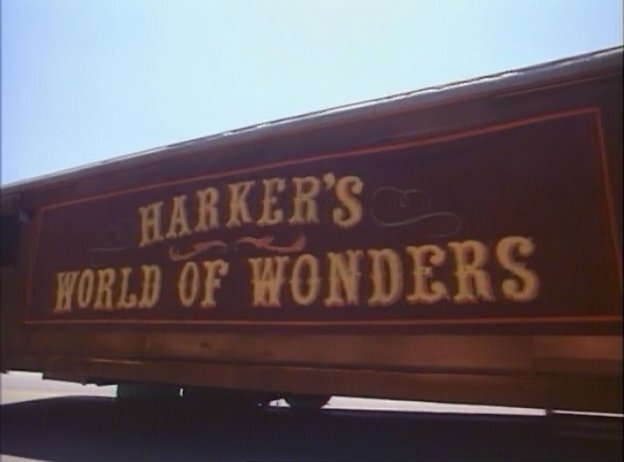 It also largely takes place in a travelling freakshow, which provides a strange but intriguing backdrop for all the action. Sure, a large chunk also occurs in a small town, but the freakshow is at least far more visually engaging than series staples, such as "cave in the outback" or "cabin in the woods". 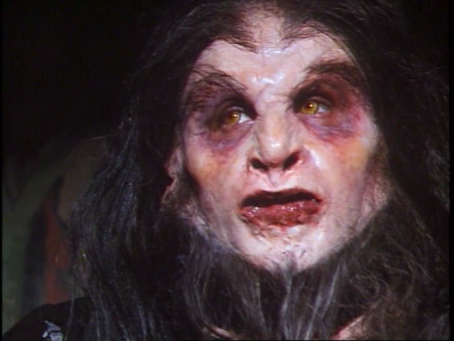 It's also worth pointing out that this is one of the earlier examples of werewolves vs vampires in film, predating Underworld (the movie which would make the trope a staple of popular mythology) by more than a decade. The movie was also filmed quite well - Hope Perello and cinematographer Edward Pei did a good job of ensuring that the picture and cinematography were crisp and professional-looking (which is more than what can be said of most of the previous entries in the series). That's... pretty damn ugly. It's more wolf-man than werewolf. 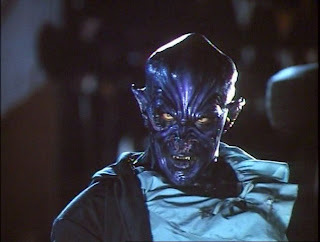 The design looks a bit better in the actual film, but it's still a far cry from the werewolf effects from the first film. At the very least, it looks better than some of the embarrassments which have tried to pass for werewolves in the previous Howling sequels. There's also actual transformation sequences in this movie as well, which are a big plus. 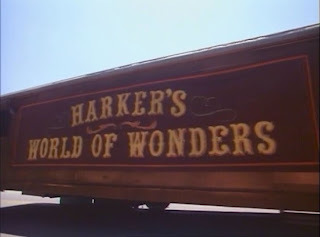 Of course, the movie is running on a fairly low budget, so some of the effects look pretty cheap at times - particularly when Harker dies from sunlight, you can see the fan inside of the paper-mache skull which is tearing the body apart... but still, all things considered, the effects and make-up are fairly well done. Howling VI carries on the tradition from Howling V where the leads aren't terrible actors. In fact, Bruce Payne (who plays the vampire, Harker) puts in a good performance as the slimy, charismatic villain. He definitely steals every scene he appears in and elevates the film by himself. Brendan Hughes (who plays the werewolf, Ian) does a decent job as well, although he swings between decent and mediocre inconsistently. The other roles range from decent (the priest) to pretty bad (the sheriff and Elizabeth), but no one hits the rock bottom levels of The Original Nightmare thankfully. Also worth pointing out (as it ties into the next entry in the series), Elizabeth Shé appears in a cameo at the carnival and is actually credited as Marylou, her character from Howling V. In this movie, it's a blink-and-you'll-miss-it affair (if you even recognize her at all), but it doesn't really tie into the actual plot at all so it's really not that important. That's her there in the polka dots. Unfortunately, the story and script aren't really all that great. It looks like Kevin Rock bungled things on his end, while Hope Perello held up her end quite well. The story basically boils down to: man comes to town, freakshow comes to town, man gets captured by freakshow because he's a werewolf, man gets abused for a while until he kills the vampire ringleader (who he has a past with). It's a little more interesting to watch it, but overall it's just not that compelling. There are also some half-baked subplots (including a romantic interest), but they don't really amount to much. One particularly egregious example of this is that Ian is told that he killed Elizabeth when he transformed into a werewolf, but less than 5 minutes later he finds out that she is not... so what was the point of that? It's also hard to believe that all the work Ian does in the church when he first arrives in town (totally residing it, varnishing the siding, polishing the windows, completely cleaning the interior of the church, etc) was done in a day. That said, it may not have been only a day, but the editing and a bit of dialogue seems to imply that it was. 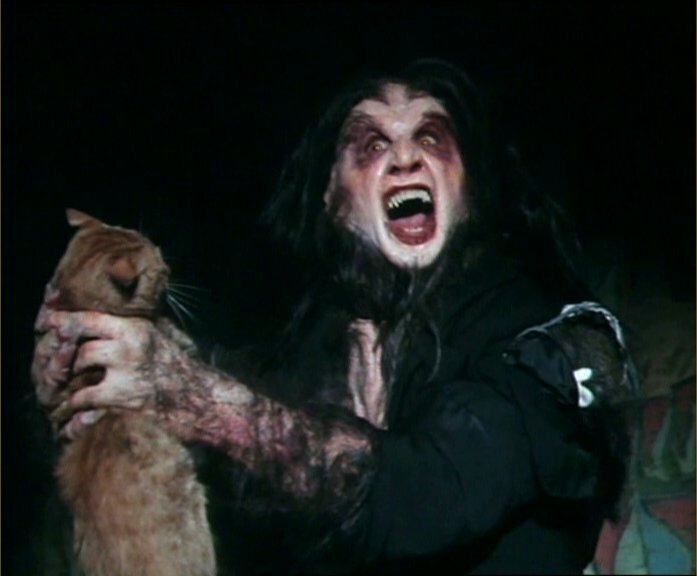 The final 20 minutes are also rather campy, where the vampire finally starts killing the townsfolk like a generic horror monster. There's also a vampire vs werewolf fight which isn't nearly as cool as it sounds, and really just comes across as hokey. Ultimately, the script is what brings down Howling VI, because the movie certainly had some potential to be at least mediocre. As it stands, the movie is interesting and worth seeing if you have any interest in the idea of a werewolf in a freakshow, but very flawed. Be sure to come back soon for part 6 of this retrospective, The Howling VII: New Moon Rising!